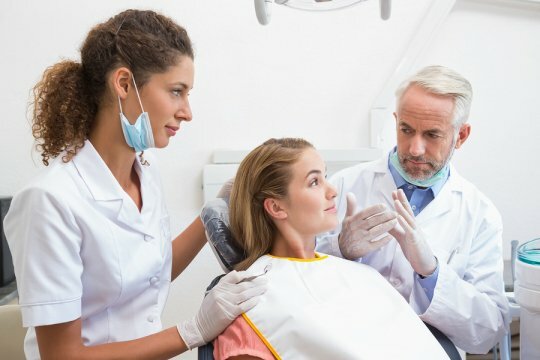 If your dentist has recommended that you receive a root canal on one or more teeth, you will need to take all of the steps necessary to prepare for the procedure. While you may feel nervous in the days leading up to your root canal, it is important to know that your dentist will make sure that you are completely comfortable before, during, and after the procedure. Here are some top tips to help you prepare for your root canal. Asking questions will help ease any anxiety that you may feel about your root canal treatment. Your dentist will be happy to provide you with information about the root canal process, as well as what you can expect from your recovery. Rather than wondering and worrying, you can ease your mind by gathering accurate information from your dentist. Your dentist may provide you with specific instructions to follow in the days and night leading up to your treatment. Depending on your past medical and dental history, you may be asked to take an antibiotic before your root canal is performed. It may also be necessary to abstain from eating and drinking the night before your root canal. One of the most important steps of preparing for a root canal is to prepare for your recovery. If you will be anesthetized during the procedure, you will want to make sure that a friend or family member is there to drive you home. It may also be a good idea to take a day or two off of work so that you have time to heal after the procedure. If you are experiencing tooth pain or discomfort, do not hesitate to contact Glenwood Premier Dental by calling (732) 264-4477. Dr. Wassef will be happy to provide you with quality dental exams in Hazlet, and we also offer a full range of emergency services. Our team looks forward to helping you maintain a healthy smile.